” That depends on what the Swedes do” said Hornblower. 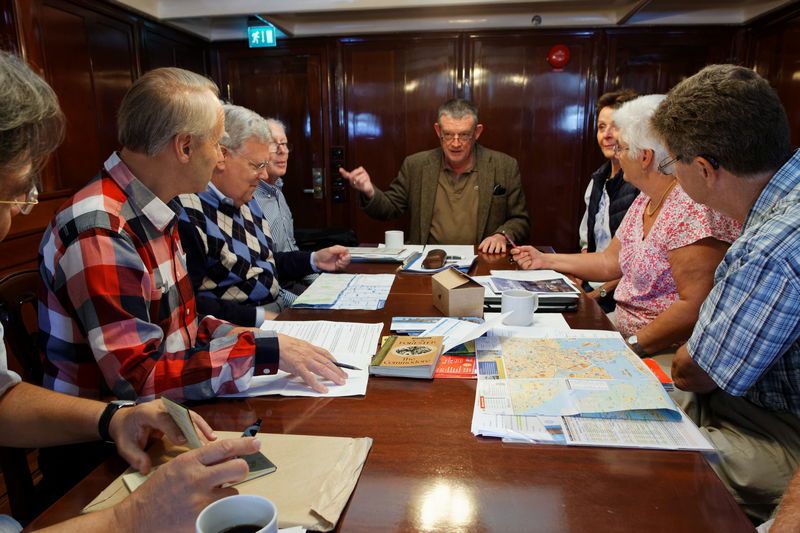 Members of the C. S. Forester Society met their friends and colleagues of the Swedish Horatio Hornblower Society in Stockholm, from 3-6 September 2016. 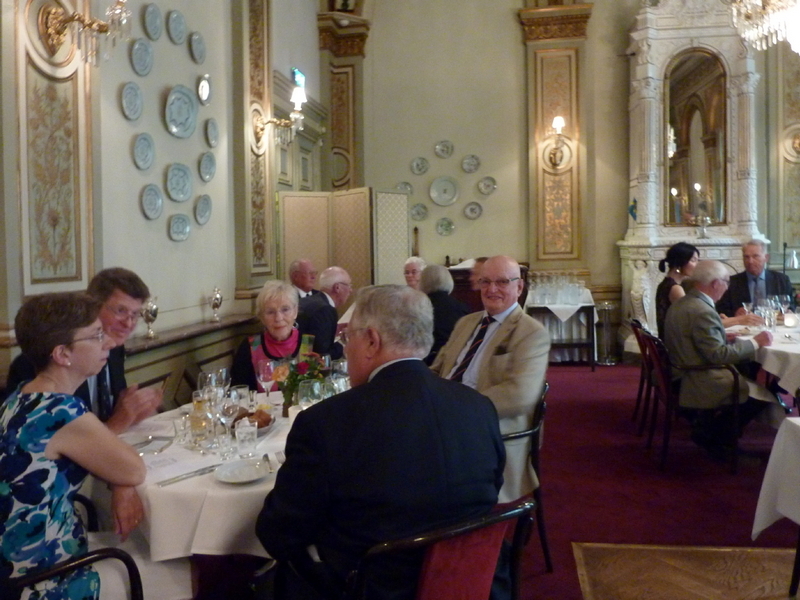 On our first evening it was the Society members who were welcomed by Rolf Ahlström. Our first get-together for a year; a splendid evening at the legendary Kvarnen restaurant and bar in the old blue-collar district of Södermalm. Diners read their favourite extract from The Commodore to the audience and explained their choices as we prepared for further diversions into our Book of the Year. The next morning we met aboard the Af Chapman (a 1888 3-master) for our formal Annual General Meeting; your humble editor arrived late having foolishly followed version 4 of the Joining Instructions. We read Minutes, approved the accounts, elected officers, planned the following year’s activity, chose 2017’s Book of the Year – The African Queen – and reviewed the successes of 2015/16. And then for some, a tourist-bus-tour around the city. That evening all the Swedish hosts greeted us at the Queens Head. Now we knew ‘what the Swedes do’: they welcome their guests, they dine and wine, they make fascinating conversation. 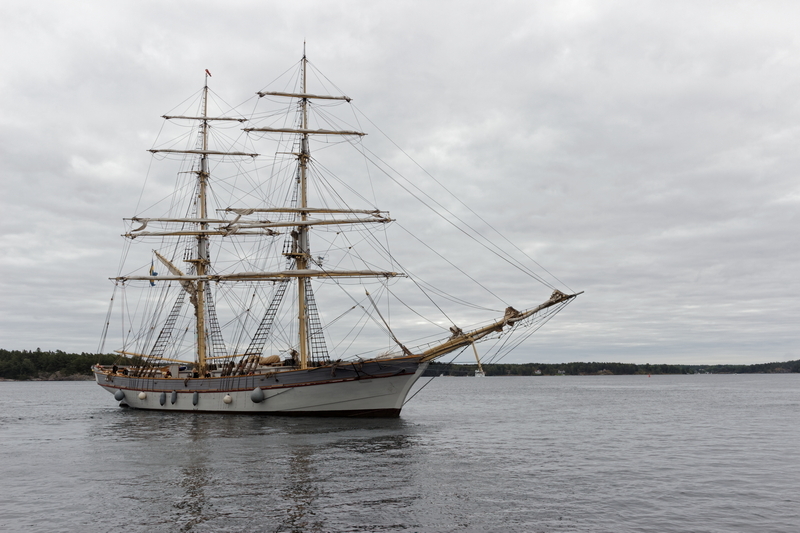 A hearty welcome awaited us too next morning, aboard the 19th century brig Tre Kronor. We sailed for 7 hours around the Stockholm archipelago; the sun shone, the wind obliged and we witnessed and assisted the charming young Swedish crew and their dedicated captain. 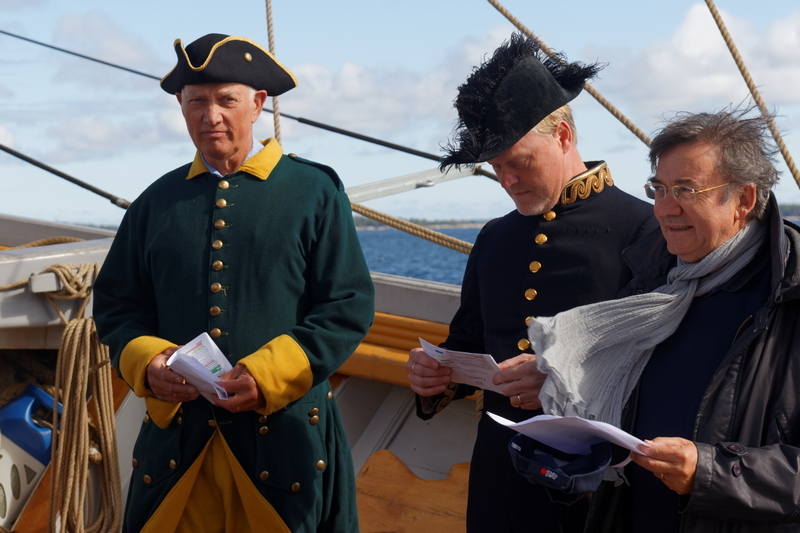 Pontus Jarborg and Lars-Goran Larsson of the SHHS – both suitably attired – were assisted by Ludwig Heuse, Ken Napier, Ron Meister, Serge Aillery and myself, in re-enacting the consular-visit Nonsuch scene (the non-CSF passengers and crew-members, looked on baffled). 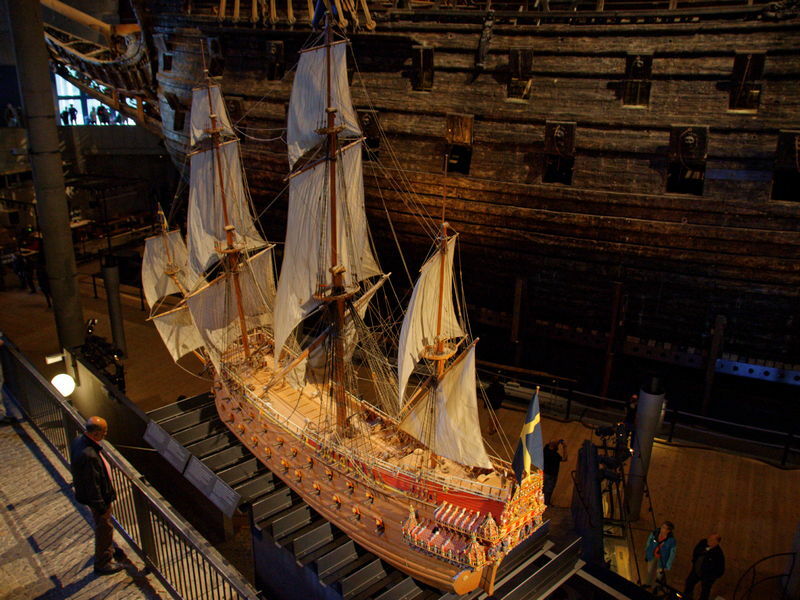 Tuesday, and a visit to the Vasa Museum. Vasa was the most modern warship imaginable in 1628, with a multiple gun deck and heavy, custom-made guns. She was meant to be a key asset for Sweden in a bid for power in Northern Europe but sank on her maiden voyage. The curator Fred Hocker told us how he had led a project which made a perfect copy of the cannon and its accessories, and fired it. We were privileged to have so fascinating and personal a presentation, and toured the lovingly-restored Vasa which was recovered in excellent condition thanks to the cold, woodworm-inhospitable waters of the Baltic Sea. Our final evening saw our two societies coming together in Arsenalsgatan at the oldest gentleman’s dining club in Stockholm. On a personal note, I knew this was going to be an extra-special evening when I saw Ludwig had shaved and was not wearing jeans. And special it was; there were echoes of Hornblower’s recruiting poster for the Sutherland – “provision at 16 ounces to the pound, the best of beef, the best of bread, and grog” – but the luxury of Arsenalsgatan was beyond all our wildest dreams. Taking the head of table over coffee, Nils Modig led a talk on the Royal Navy in the Baltic and Göran Malaise revealed to us the naval policy of the Swedish nation in the last 200 years. ; your Society editor offered a personal appreciation of The Commodore and how Forester came to write it; and Ron Meister from New York dropped nary an ‘h’ as he introduced us to historical hermeneutics in Horatio Hornblower. 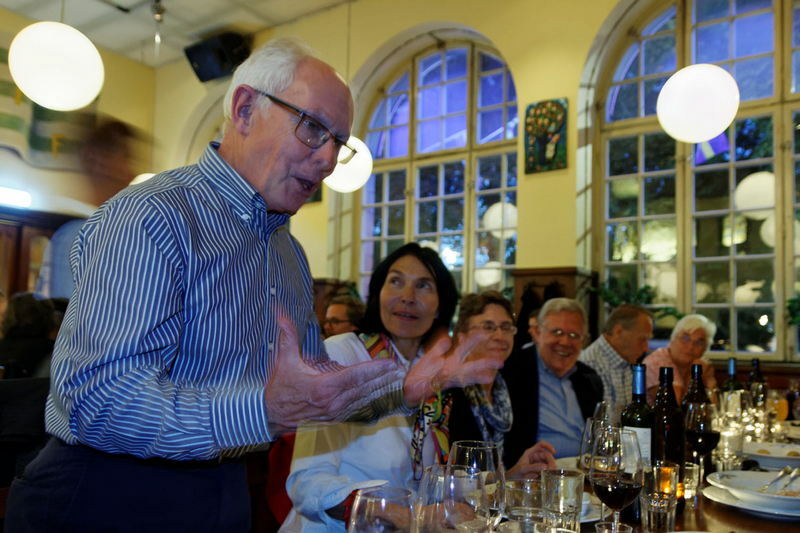 Our Chairman Ludwig Heuse thanked Pontus Jarborg and the SHHS for their welcome and hospitality, we all sang ‘I see the snaps, the snaps sees me’ and then we wobbled back to our hotels. “Ask if Sweden is neutral” said Hornblower. Well, we can answer now: they are not. They are friendly and welcoming to each and every one of the 9 nations whose representatives attended the C S Forester Society’s annual meeting. Thank you, SHHS. Chairman’s note : next year 2017 we plan to meet in London. We are exploring the possibility of getting together in the Netherlands, the following year.